Few and Far is an assemblage of women who beautify the streets. In a shared commitment to creativity, education and social justice we draw, paint, skateboard and teach all over the globe. Street art is an international, visual language that ever evolves. A mural is a story and each artist takes her turn in the telling. Using their gifts as totem makers, Few and Far’s reflections of the world is fantastic and distinctly feminine. By engaging our community in our narrative, we seek to foster young imagination, to help the neighbourhood’s next generation recognize and channel their creative impulses. This conversation between artists and communities is an ongoing, global project to heal and bring together all peoples. 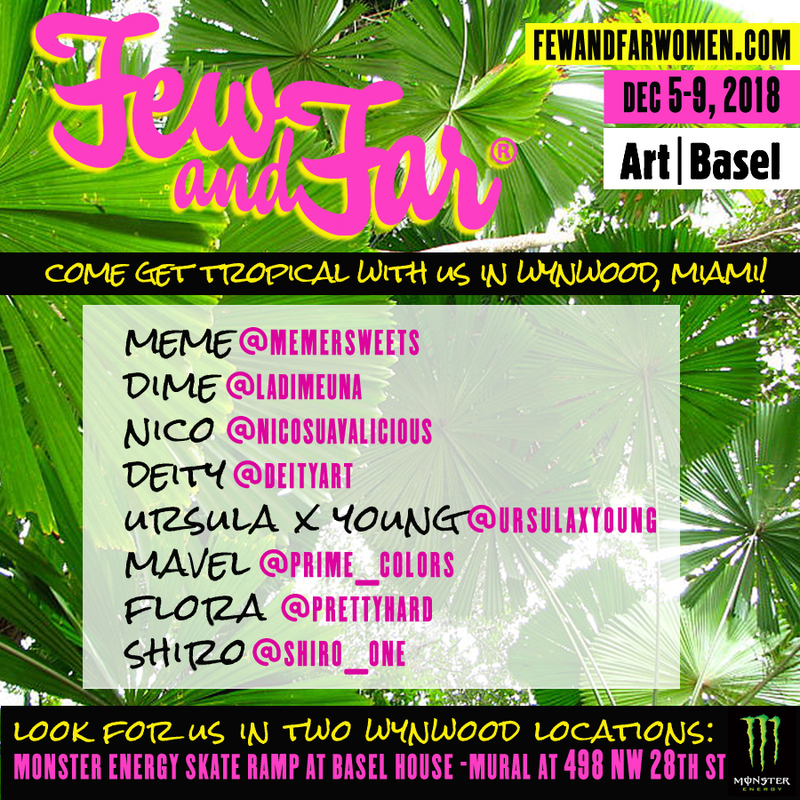 Few and far will be joining us this year at Basel House 2018 painting a skate park at the Monster Energy Clubhouse.